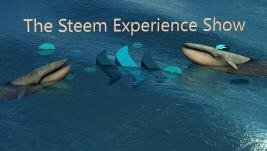 The Steem Experience Show Live at 2PM EST! Come hang out with us live on The Steem Experience! Today, @mandalaflower will be our guest and the topics will vary greatly! @seablue and @richardcrill will be the cohosts and we will have an open discussion with the audience after the initial discussion with @mandalaflower and the hosts.